Pebbles came to us in December, just about 2 weeks after cervical disc surgery. She was completely non-ambulatory and weak. She could hold her body weight if we stood her up but was unable to move her limbs or balance on her own. We began rehabilitation efforts starting with passive exercises and laser therapy. The owner was given specific exercises to do at home. Pebbles came in for in-patient therapy 2-3 times a week, starting with very simple exercises like assisted standing. She began to make progress after only 2 weeks, moving her hind legs first. Underwater treadmill sessions were added during her visits to try to encourage her to move her legs with the assistance of the buoyancy of the water. Although she did not find this activity to be one of her favorites, it did prove to be valuable in our rehabilitation efforts early on. About 5 weeks into her rehabilitation, we also added Acupuncture to her visits. Dr. Brant treated Pebbles once a week for 5 weeks. Treatments were spread out until she was only being treated once a month. She was also started on Chinese Herbals. Each new small movement was a milestone and Pebbles continued to work hard. More exercises were added as she became stronger and she gained both better balance and proprioception. Pebbles was beginning to be able to push herself up and move her legs on her own but still needed help to balance. We began balance work with the use of a physioroll and balance board. Laser therapy continued once a week and her therapy sessions continued twice weekly. In April, 4 months after starting rehabilitation, Pebbles was fully able to perform all of her daily activities. She was still very light on muscle and her owners were instructed on how to continue exercises at home. She came for one last acupuncture treatment and one last rehabilitation session. On May 15th, Pebbles was discharged from rehabilitation. Pebbles continues to do very well. She demonstrated her abilities at this year's State Fair in The Veterinary Hall of Health during the rehabilitation presentations. Pebbles was able to attend her mom's wedding in October 2015 and is now back to her old self, with no limits to her ability. 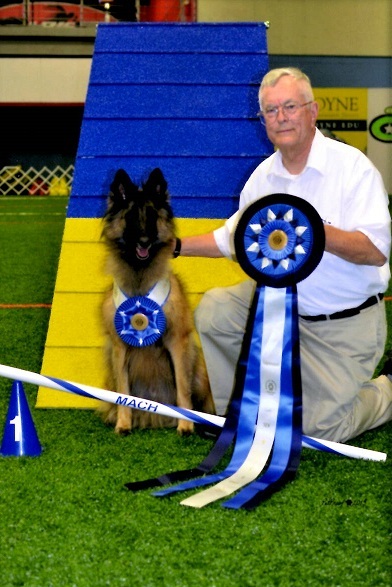 "Q" (MACH, CD, MX, MXB, MXJ, MJB, XF, T2B) is a 5 year old Belgian Tervuren owned by Melvin Manor. "Q" has been training since a young pup. He recently achieved his "CD" title and received his "MACH" in October 2015. 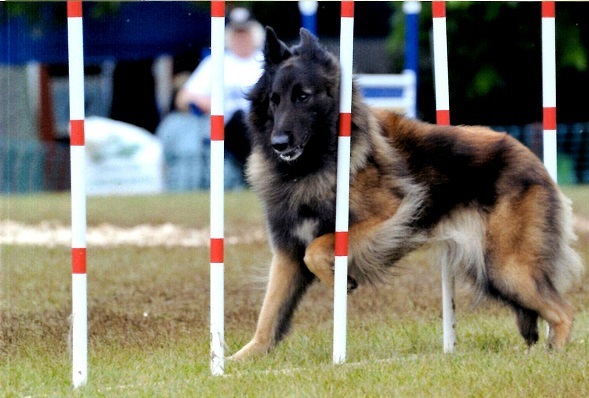 "Vale" (CH, CDX, RE, MX, MXJ, MJB, AXP, MJP, XF) was also a Belgian Tervuren owned by Mr. Manor. 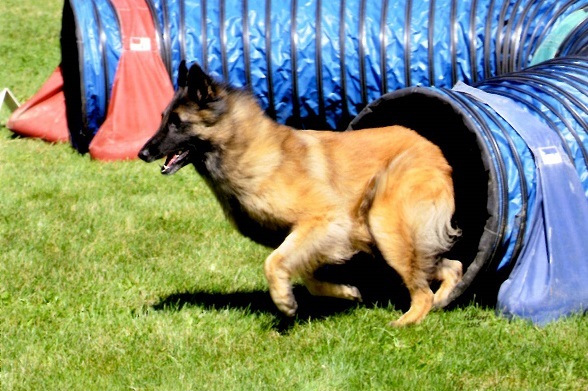 The letters after her name are all of her titles earned in obedience and agility. Both dogs had been coming to Village Vet for regular veterinary care and had been utilizing the underwater treadmill for conditioning. Vale also utilized the laser and rehabilitation program for older dog issues.